Although I have been aware of Lady Gaga for quite some time - let's face it, it's pretty hard not to be - it was not until her single, Born This Way, that I began to take an interest in her music. The title song from her second album, it is an inspiring piece that brings empowerment to the LBGT community, and also sounds just plain awesome. It was while Gaga was on her Born This Way Ball Tour that she started work on her third album, Artpop. When explaining the concept behind the album, the music artist said that she wanted it to be to create that feeling of 'a night at the club' and make audiences have 'a really good time'. Artpop contrasts the darker, more political nature of her previous album, in the hope to reveal a 'lack of maturity and responsibility'. 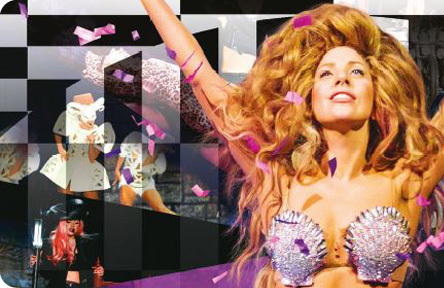 If that sounds like your kind of thing, then get ready for Lady Gag's fourth world tour concert, ArtRave: The ARTPOP Ball Tour. She will perform at London's O2 Arena on the 23rd, 25th, and 26th October 2014, with tickets ranging from £42-£102.